The staff were lovely and the view amazing once you get down the stairs! 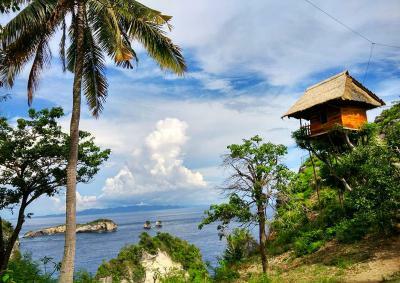 You pay for the experience and the view, which is adventurous, romantic and fun staying on the top of a tree :) Very simple room with a bed, a small balcony and a fan. Toilet and bathroom are downstairs which is part of your jungle experience haha :). The view is amazing, although we had a storm instead of a beautiful sunrise but still had very impressive, unique and romantic stay here. It is worth staying at least one night and not only go to take instagram photos. 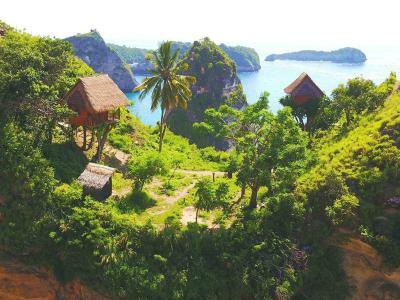 There are 3 tree houses, ask for the one with the best view :) you won't regret it! Amazing views and the bed was surprisingly comfortable. Su, the caretaker and cook was very helpful! This was truly a tree house experience. Don’t get confused with glamping. Basic bed with a fan and a view of the water. The shower and toilet is shared and on the ground level. There are restaurants nearby that can be arranged for free. Atuh and Diamond beach nearby -walking distacne. It's a beautiful location with out of this world views. It's nothing like you've ever experienced before which makes it unique and a memorable experience. The view, the view! It worth it, maybe a little expensive but what an experience. This is an amazing place and it's Nice to hear nature and waves all night. Toilet are discusting, shower is actually not too bad. The owner is nice and bring us to warung for eating and it was good for good price. One night is enought. Don't expect too much from accomodation, it's a house in a tree, bed is smaller than a normal double bed, but you wake Up with this view... Wow. I would have been disapointed to go there and not sleep There. 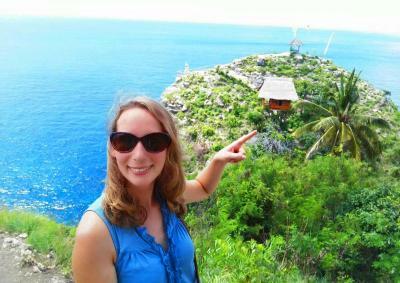 And yes, if you have the famous tree house, people will be on your balcony at 5h30, tourist to take pictures. 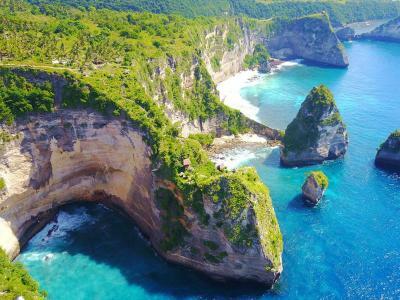 One of our bestsellers in Nusa Penida! 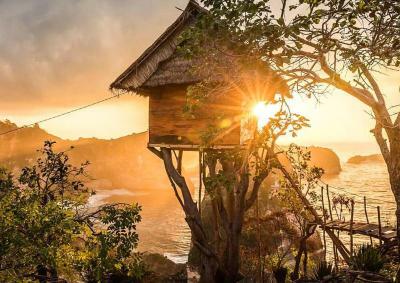 Rumah Pohon Tree House is located in Nusa Penida, 30.4 miles from Kuta. Guests benefit from a balcony and an outside cabin. Ubud is 30.4 miles from Rumah Pohon Tree House, while Nusa Dua is 26.7 miles away. The nearest airport is Ngurah Rai International Airport, 31.1 miles from Rumah Pohon Tree House. 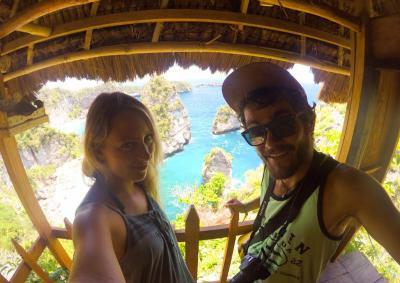 Rumah Pohon Tree House has been welcoming Booking.com guests since 16 Nov 2016. 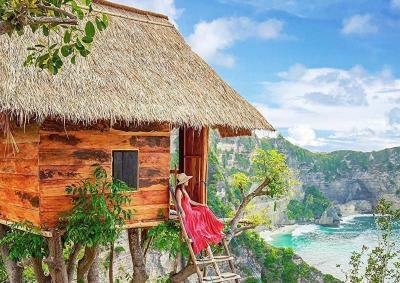 When would you like to stay at Rumah Pohon Tree House? 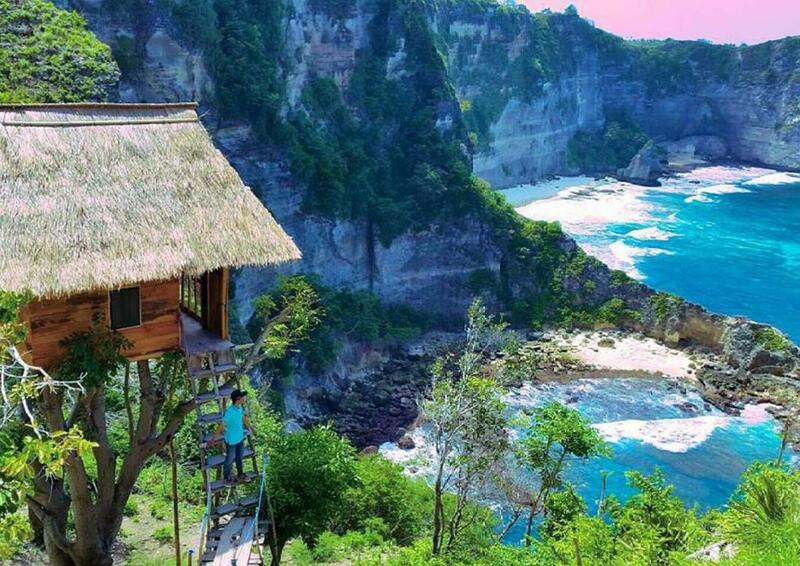 This tree house has a balcony and sea view. House rules Rumah Pohon Tree House takes special requests - add in the next step! However we stayed in the tallest (main) tree house. This therefore attracted a lot of tourist who sadly had NO respect for us or anyone else staying in the treehouses. We had people climbing up the treehouse from 6:30 am till 12pm. They went as far as to try and open our treehouse door whilst we were asleep in bed. We had a queue outside the treehouse for people waiting to have pictures on our ladder. I fully understand that people want to have pictures and I was willing to accommodate that. However, only 2 people asked out over 100. One person even had the audacity to have a go at my partner who was returning from the shower and trying to get into the house, saying that ‘they were waiting for a photo and he had to wait’. People wouldn’t let us go up and down the stairs to the treehouse. I even got harassed when in the shower, which is only meant for those staying in the treehouses. A woman banged on the door saying she needed to wash her hands and wouldn’t leave until I got out of the shower. I want to make it very clear that this is in no way the fault of the staff here, they were amazing. It is down to rude and ignorant tourists who paid $1 to see the viewpoints. All I can suggest is that tour guides should tell groups to be more considerate of those staying and no encourage this behavior. Likewise signs near the accommodation reminding tourists to respect those staying in the treehouses would be good. If this isn’t possible then maybe not renting out that tree in particular may be an idea. On our second day we didn’t experience the same crowds so maybe we have been unlucky and this shouldn’t put you off, as despite everything the overall experience and views were amazing and worth it. I’m glad we stayed and very appreciative of the staff here. The treehouse itself was in an amazing location. 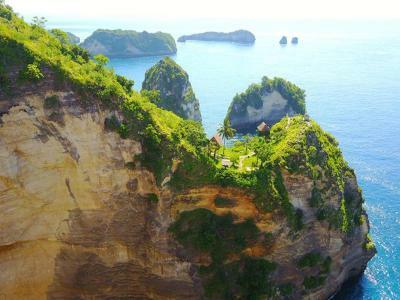 The views from the tree house were incredible, the best we’d seen in all of Nusa Penida and our travels. The staff were AMAZING, they were so friendly and helpful. We couldn’t fault them. One guy in particular helped us carry our bags up and down from the treehouse during our stay, which we really appreciated. I wasn't prepared for how basic this would be. The stairs down to the tree houses were steep and cut into the cliff side. You have to leave your cases at the check in area as you'll struggle taking it down. The tree house had big holes in the roof and between the wooden slats so insects and mosquitos were swarming in the room. There is only a fan. We were 2 friends sharing but they had 1 towel and the bed was only slightly bigger than a single. There were no chairs only the bed to sit on for the whole evening. We decided we couldn't stay here so looked for alternative accommodation. The restaurant was over 500m from the property but the lady took us there on her motorbike. The toilet is shared between the 3 tree houses and the hut has the shower in it as well with a dirt floor. The staff are lovely but it was just to basic and open to the elements for us to stay there. If you're prepared for that you may be fine with it. Staff were not at all interested or helpful after being paid in advance we were left stranded, transport arranged and paid for never arrived, return boat paid for never turned up. Had to pay again and organise ourselves with no access to phone we were very lucky to find a helpful local who arranged everything for us! View was the only good thing about our stay! Would definitely not recommend dealing with these people or staying in the treehouse, by all means visit to take in the scenery but don’t waste your money as you will have to pay again! Extremely disappointed! Beautiful views, sadly that’s where it ends! I get it- it’s a true treehouse, so there’s no running water. Toilet is an outhouse shared by the three treehouses on the property, where you have to climb down to use. So imagine guests having to do so in the middle of the night. We were unfortunate to suffer the after effects of previous guests who were scared shitless to climb down to go use the outhouse and instead have opted to pee in the corner of the treehouse. It smelled of stale pee - and I couldn’t wait for the night to be over so I can take my sunrise photos and leave. The view is like a piece of heaven. Meditation at sunrise here is like none other. If you stay in the main tree house expect Insta tourists on your doorstep taking photos all day! The other two would be ok though people bypassed them for the main one. Cleanliness of the room is not that good and provide only one towel despite the fact that we booked a room for two people. Very beautiful view surrounded by mountain and sea. Location is next to Atuh and Diamond beaches. 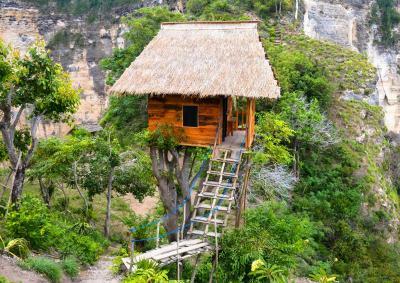 Not a negative but consider how fit you are before booking this treehouse, as to get down to them you have to climb a lot of steps! 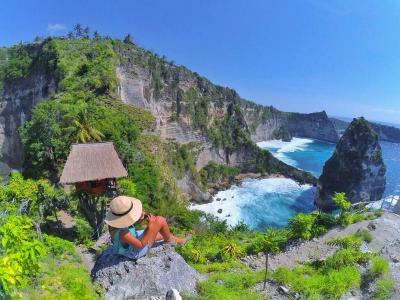 we booking for a long time and get promise after tour with them to the house no.1 that we hope for take best view ..but they forgot and front office staff girl say bad to me and not care my feeling ..just say no no ..but man staff take care good that can make me feel better but the view there really good.